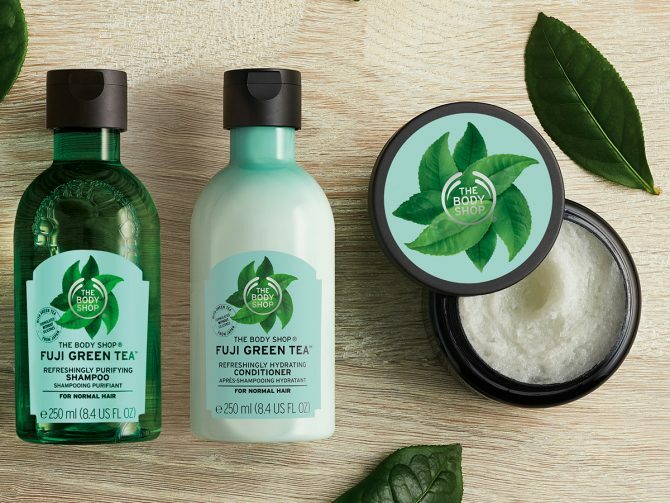 For a squeaky clean scalp, try The Body Shop New Fuji haircare range (from $15), which comes with the Green Tea Refreshingly Purifying Cleansing Hair Scrub to helps remove impurities for healthy looking hair. The green tea scented hair scrub comes with an invigorating blend of Japanese green tea, mint menthol, salt crystals, and Community Trade honey. Massaging this silicone-free formula into your scalp helps to stimulate blood flow and whisk away impurities such as dust, smoke, sweat and styling residue. Available at The Body Shop.